Every once in a while, I run across a sales expert I really like and make a point to follow. For me, that’s Mark Cranney . Mark Cranney has built enormous revenue streams for Opsware, Inc. (which was acquired by HP), Hewlett-Packard, and hundreds of portfolio companies for VC firm Andreesen Horowitz. He knows a thing or two about building a salesforce and what it takes to drive the topline through processes and metrics. In his article “If SaaS Products Sell Themselves, Why Do We Need Sales?”, Cranney outlines the roadmap for successful enterprise sales, and we see the amount of skill and effort the field sales force needs to have in order to be successful in this environment. Tracking that activity and holding the salesforce accountable is a crucial management function. Management’s ability to keep their teams focused on the repeatable process is a major factor in taking companies from successful start-up to market leader. As a young manager I didn’t understand this responsibility and my teams were often successful on the backs of some very talented sales people. I accepted the common 80/20 axiom. That can work, but like any other investment, you are exposed to volatility if you don’t diversify. Over time, and with good mentors, I found that metric-driven management can have a profound impact on the team growth rate and create consistent revenue streams. Managers who identify successful selling strategies and highlight the net effect of these strategies with clear evidence will find they build full teams of successful sales people. 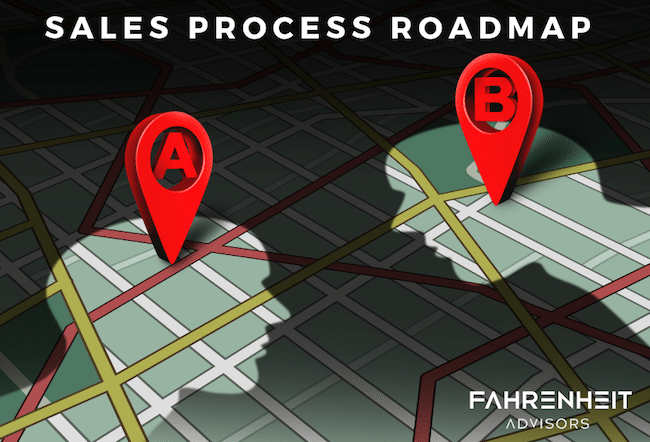 When we dig into our selling processes and find commonality between successful sales, we create a road map for growth. Growth, market share, or margin improvement may be the mission, but clear direction and proper execution will get you there. By defining the necessary activities to achieve your business goals, you lay out a plan for your sales force and you can hold them accountable for following it. Through activity-focused compensation and performance evaluation, managers can get high returns out of individuals who may have previously resided outside of the top 20%. Your sales process directly affects your revenue. Is it clear, repeatable, and easily trackable? If not, Cranny’s article is a great place to start. Then when you’re ready to develop and manage your sales process contact us, we’re standing by, ready to help. Dan Rodenhaver is a senior business executive with focused experience in the healthcare industry, including developing and leading fast-track growth of medical devices and accelerating sales for companies ranging in size from startup to Fortune 500. An MBA expert in business development, product positioning, and market expansion with strong operating, financial, analytical and leadership capabilities. Learn more about Dan.